Is Iran's Foreign Minister Taking Over the 'Iraq File'? 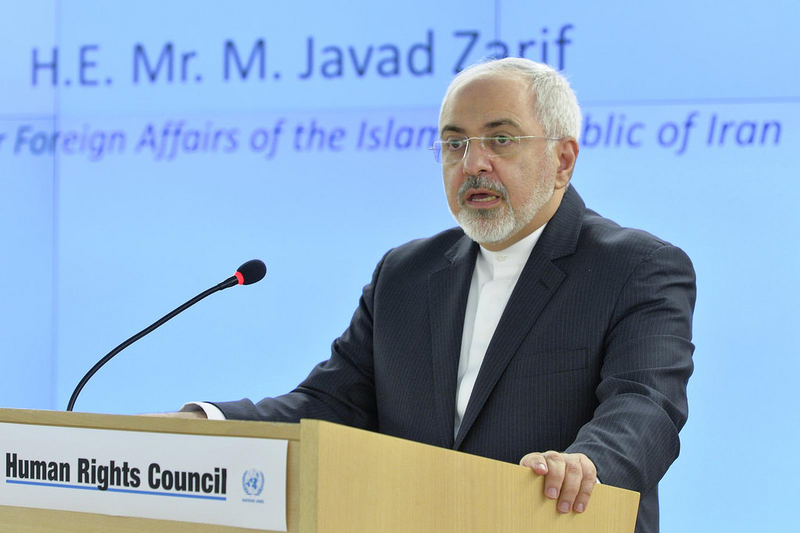 A month ago, on February 25, Iranian Foreign Minister Mohammad Javad Zarif appeared to resign from his position. However, since then he has not only remained at his post but has grown in stature. This was particularly a result of his handling of Iranian President Hassan Rouhani to Iraq. Reports now indicate that he is the point-man for Iran's quest to create a new chapter and strategic bond with Iraq. Zarif arrived in Iraq in March to prepare for a historic three-day visit by Rouhani. He called the trip an example of the unshakable bond between Iraq and Iran. It wasn't always that way. In the 1980s, the two countries fought a brutal conflict. Some of Iraq's leaders today actually served alongside the Iranian Islam Revolutionary Guard Corps (IRGC). These were Shi'ite Iraqis who opposed Saddam Hussein and were inspired by the Islamic Revolution in Iran. Today, these former IRGC allies hold key posts and are the second largest party in parliament. During the war against ISIS in Iraq, the country enlarged the number of Shi'ite paramilitaries operating in order to help stop ISIS as the Iraqi army disintegrated. These were called the Popular Mobilization Forces (PMF). Qassem Soleimani, the head of the IRGC Quds Force, helped advise Iraq on their use. For Iran, these fighters were similar to Hezbollah in Lebanon. Zarif's role in Iraq has expanded because Iraq wants to increase connections with Iran across a variety of diplomatic and economic files. For instance, Rouhani signed deals and cemented relations, as well as meeting religious figures such as Ayatollah Ali Sistani. It was Sistani that was influential in raising the PMF. Zarif's visit to the Iraqi Ayatollah shows that he is a key conduit to Tehran. This is in direct contrast to being sidelined in February during a visit by Syrian President Bashar Assad, a humiliation that led to him threatening to resign. "All Iraqis are our friends," Zarif said. He has also visited the Kurdistan autonomous region in northern Iraq and sought to cultivate closer tensions with the Kurds. He memorialized the Halabja massacre in mid-March, describing Kurdish victims of Saddam's regime as "brethren." A report on Tuesday indicated that Zarif is now the main figure in Iran-Iraq relations. As foreign minister, this might be his task anyway, but the concept is to elevate his role now that the conflict with ISIS is over and the role of the IRGC in Iraq may be changing. The IRGC, according to a report by Al Jazeera, played a key role in the initially secretive Assad visit that angered Zarif in February. Zarif has also warned other states, such as Saudi Arabia, not to attempt to interfere in relations between Iran and Iraq. On March 25, the Special Representative for Iraq of the United Nations, Jeanine Hennis-Plasschaert, met with Iran's ambassador to Iraq and discussed cooperation between the two states. This appeared to be more evidence of Iran's growing role in Iraq – and its foreign ministry's role in particular.